Squirrel Nut Zippers is a jazz band that originally formed in Chapel Hill, NC in 1993. The band's music is a fusion of Delta blues, gypsy jazz, 1930s–era swing, klezmer, and other styles. They found commercial success during the swing revival of the late 1990s with their 1996 single "Hell". Since reactivating in mid-2016 the Squirrel Nut Zippers have been performing to packed houses across the country and around the world. 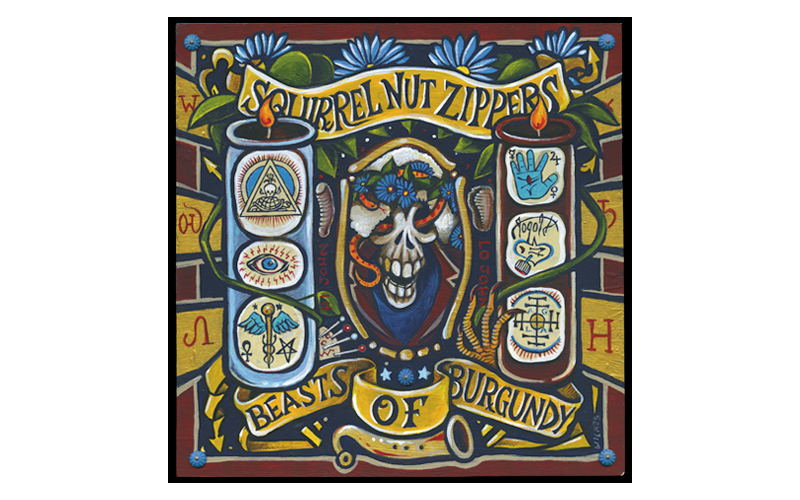 As Jimbo Mathus has said since the band’s re-launch, ‘it’s not a reunion, it’s a revival.’ In March 2018 they released their first studio album in 18 years, Beasts of Burgundy. A preshow reception that includes scrumptious hors d'oeuvres and other delectable. Signature reusable covered tumblers that can be taken into the performance hall (a first!). A Viking River Cruise Raffle ticket valued at $25.